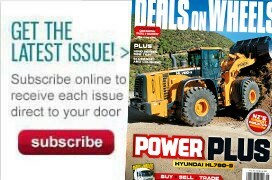 You’d be hard-pressed to find a contractor, truckie or farmer who hasn’t got a favourite machine, truck or tractor tucked away in a shed. Generally these guys find it hard going to even shed a tear at a funeral, but strangely get all misty-eyed when they pull off the cotton sheets covering their (usually) first machine or truck they drove all those years ago. This is always followed by a well-worn anecdote, told with a comforting hand upon the machine or truck or tractor all the while. It's not too often though, that you come across a person who has a fire truck as their choice pick. Ex-Auckland City fire fighter, Laurie Thompson, is one of a small handful of people who have made the conscious decision to preserve a select slice of history by collecting fire memorabilia, including a number of fire appliances. Based in the northern Waikato, part of the South Auckland Fire Collection he owns includes a MCE Mack, Karrier Gamecock and a Gwynne trailer pump, the likes of which found favour with many volunteer brigades during the war and post-war years. Without doubt though, Laurie's absolute favourite truck in his collection is the CF685 Mack Teleboom. Built by Mack in 1981, this appliance was based at Remuera fire station from 1982 to 1991. Although serving at the nearby Auckland Central station, Laurie admits that he always admired the Mack when stationed there on overtime, and would frequently be seen tending to and cleaning the truck; something that probably would have been seen as unusual for someone on an overtime shift. Eventually transferring to Remuera station, he spent the remaining years in the fire service serving with his favourite truck, until leaving the job in 1996. 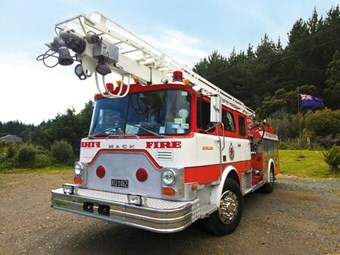 In the 1980s, the New Zealand Fire Service purchased nine of these purpose-built Mack cab/chassis units from Palmerston North-based Motor Truck Distributors, with the majority being set up as aerial appliances. The bodywork in New Zealand was either constructed by Mills-Tui or Wormald, with aficionados' (and Laurie being an example) generally having a preference for the lines of the Mills-Tui body type, as featured on his truck. Probably one of the biggest downfalls with the Macks' was that they were fitted with 237hp Maxidyne engines, which (even in the '80s) were viewed as small for such a sizeable rig, especially in a business where short runs and quick powerful acceleration is king. Being fitted with a four-speed Allison HT740 automatic transmission (which is the same as the larger Mack [Baker] Aerialscope), also didn't do the rig a lot of favours on hill-climbs, but certainly must have made it easier to negotiate traffic on the many runs around city streets. Nonetheless, as fire appliances, the Mack trucks fitted a necessary niche for a number of years and carried out their emergency roles admirably. Fast forward twenty-odd years and Laurie took the opportunity to acquire the Mack. Since taking possession, he says that he has tidied up the truck but, as it was kept in good order, has not carried out any major work, with the exception of painting the entire underside. Looking over the truck, it's easy to see that this indeed was a working rig and the wear is something he doesn't intend to cover up with paint or detailing; preferring to keep any battle-scar history intact. Currently the truck sports a set of chrome aftermarket wheel trims, something which he is quick to point out didn't belong on the original truck. Everything on the Mack is in working order though, and is maintained to Laurie's self-imposed high 'attention to detail' standard. To house the Mack – and the rest of his collection – Laurie has constructed a purpose-built shed and workshop complex. Should you ever get the opportunity to look over the CF685 Mack Teleboom, then take it: it will be more than worth your time.